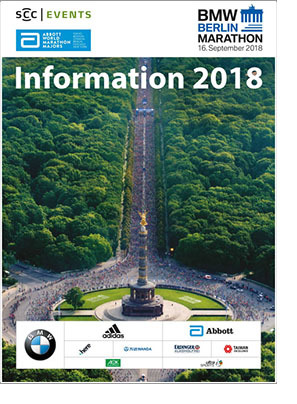 Only two more weekends, and then the BMW BERLIN MARATHON week will get underway with the Sport and Health Expo, BERLIN VITAL and several press conferences and pre-race events. This newsletter will help you orient yourself as you plan your marathon weekend in Berlin. 8. It’s not too late to start fundraising! 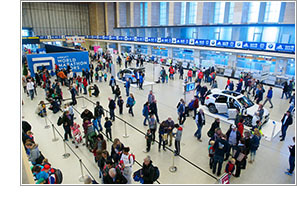 Every participant must pick up his or her race materials in person at the BERLIN VITAL Expo at former airport Tempelhof which is easy to reach via public transportation (subway U6, stop at Platz der Luftbrücke). The expo opens at 2 pm on Thursday, September 13 and runs until 7 pm on Saturday, September 15. + Race numbers must be picked up by each individual runner; group pick-ups are not possible, and power of attorneys are not accepted either. + The start card is required, as well as a photo ID (personal ID, passport, driver’s licence) for pick-up. + Every participant will receive a wristband at pick-up, which you will need in order to enter the start area and must wear until you have exited the finish area. The durable, comfortable material also makes the wristband a great souvenir of the BMW BERLIN MARATHON 2017. + Exchanging race numbers is not allowed and will lead to disqualification. As experience shows, many participants, especially those from out of town, come on Saturday between 11 am and 2 pm to pick up their race materials. If you are local or already in town on Thursday or Friday, please pick up your race kits on Thursday or Friday. Otherwise, plan on longer queues if you come to the BERLIN VITAL Sport and Health Expo on Saturday. In order to make your stay in Berlin more comfortable and to answer all questions which may pop up we strongly recommend to read our participant info booklet which can be found on our website. Visit www.abbott.com for more race recovery tips and to learn how Abbott is making a lasting impact on health. 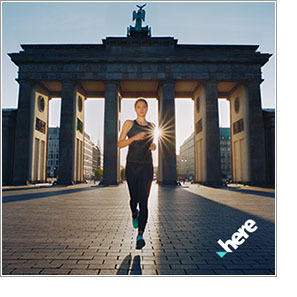 As a company with a key site in Berlin, HERE Technologies is proud to provide the official, interactive map of the BMW BERLIN-MARATHON for the fifth time in a row. It is designed to offer orientation for participants, visitors and Berliners before and during the race. By making sense of the world through the lens of location, HERE, the open location platform company, empowers its customers to achieve better results – from delivering drivers to their destination safely to helping a city manage its infrastructure. To find out more about HERE, visit 360.here.com. Rest periods for the body are an important factor when preparing for any event – and of course when training for the 45th BMW BERLIN-MARATHON. Our tip: a deliciously refreshing ERDINGER Alkoholfrei is the perfect way to start the regeneration phase after every run. In ERDINGER Alkoholfrei’s Active Blog, the professional athletes and experts of Team ERDINGER Alkoholfrei explain the principle of exertion and regeneration in training. TCL is passionate about sports. 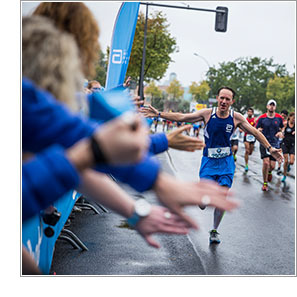 Frédéric Langin, General Manager of Sales and Marketing in Europe and marathon enthusiast explains why TCL and BMW BERLIN-MARATHON are a perfect fit: "Having practiced athletics and rugby when I was younger I ran my first marathon when I was 42 years old. Sharing this moment with many like-minded people was an inspiring experience. That's also what I like about the marathon in Berlin. It has been one of my favorite marathons so far and this year will be my fourth time running it. The city, the people and the entire atmosphere are unique. 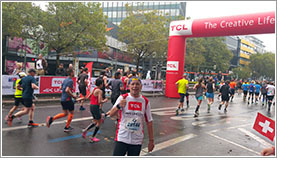 What connects TCL as a consumer electronics company and the BMW BERLIN-MARATHON is our mutual passion for sports and the believe in the power of sports bringing people together." Find out more about TCL and sport partnerships here. 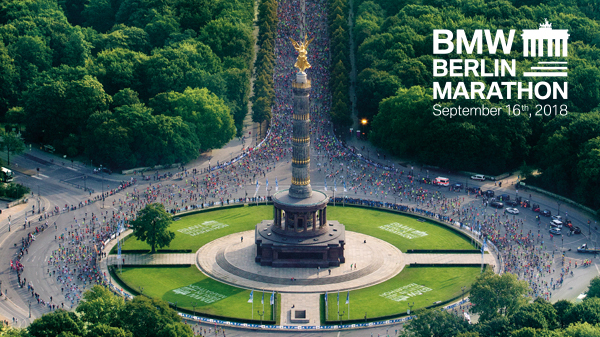 There’s still time to use your place in the 2018 BMW BERLIN-MARATHON to raise money for a charity. Visit the official charity listings to find a cause close to your heart, and contact them using the info provided to find out how you can get involved. There’s no minimum fundraising amount - everything you raise will make a huge difference to your chosen charity. Register now to avoid disappointment. Do you want to know more about how to be optimally rested for the marathon with your batteries fully recharged and have a better understanding of a top nutrition strategy during the race? 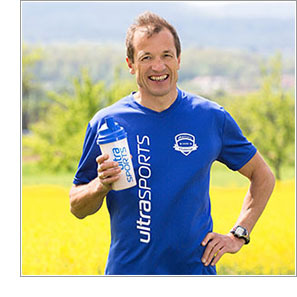 If you are still open for some scientific input and valuable tips, then join our free and exclusive webinar with sports nutrition expert Dr. Wolfgang Feil this Friday (Aug 31st) at 8:30pm CEST. No registration needed, just be there to secure one of the limited spots. A free bodyweight training session with a live DJ and an awesome party atmosphere? Don’t let the chance pass you by! 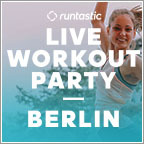 Grab your water bottle and your exercise mat and head to the Runtastic LIVE Workout Party! All Details here. The big day is approaching, and the final training phase begins. We are looking forward to each of the the new Guinness World Records attempts and are proud to present our next applicant. 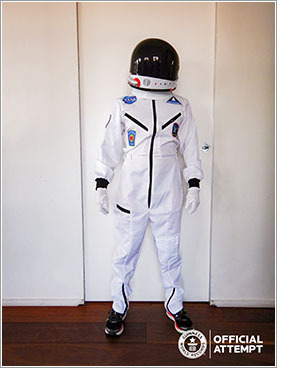 Bruno from Italy is in record fever and can’t wait to set his second Guinness World Record for the "Fastest marathon dressed as an astronaut (male)". He is even committed to a good cause! With his run he aims to collect donations for the charity "Save the children" and to cheer up children with his costume. Fingers crossed for Bruno!